Winch 25 is a stage winch for lifting and moving all manner of objects in and out of the stage area. 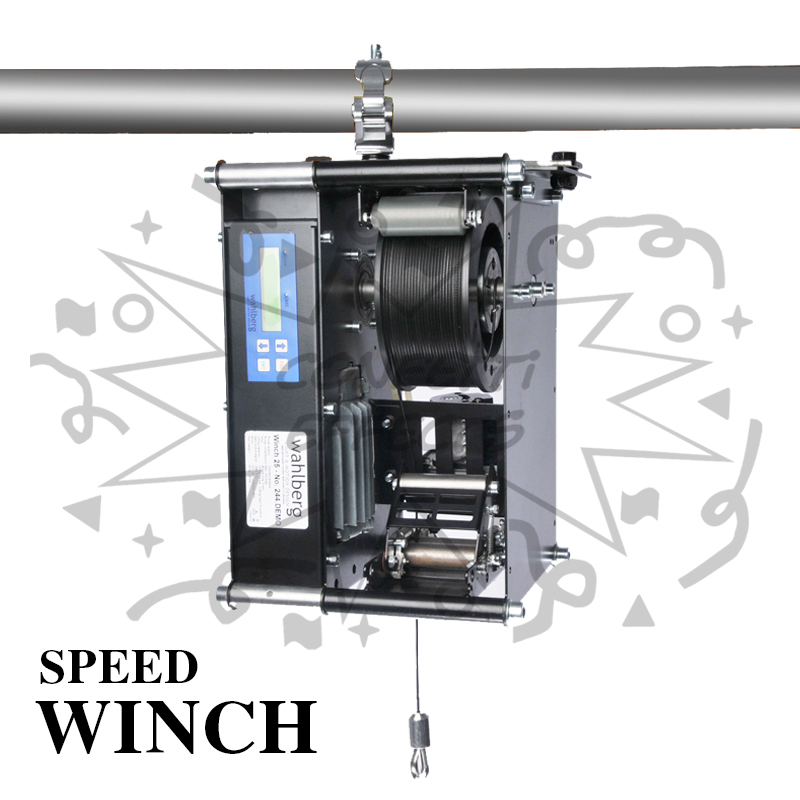 The motion of the winch can be stopped at variable positions with high accuracy. 2 DMX channels are merged into a 16 bit channel used to determine the stop position for the winch.